Are you noticing fleas around your home, more and more? If you have pets that live inside your home, it is a strong possibility that they do exist and that it isn’t all in your head. A flea infestation can develop when your pets are not properly groomed. However, you should know that if you are somewhere that has fleas, they can jump on you and you could very easily bring them into your home. It really is just that easy for a flea infestation to begin to develop in your home. If you have pets you may acquire fleas from time to time. Fleas can be combated with DIY flea products; however, this will not necessarily eliminate them altogether. To get rid of the problem, our exterminator will find the source of the problem and deal with it accordingly. We are certain that we’ll be able to get rid of them for you but it’s up to you to get in touch with us so that we can do our job. If you want to avoid a problem with fleas, there are some things you can do to help the situation. Make sure you have your pets properly groomed regularly. Also, seal up any holes, gaps, or cracks in your home, especially around your windows. This keeps out other pest that fleas are attracted to. 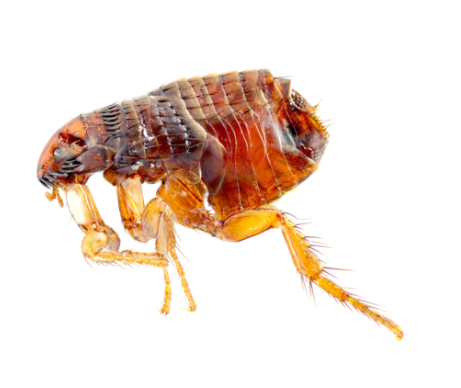 If you’re still noticing a problem with fleas in your home, we are happy to come and inspect your home to see if we can determine what is causing the problem. We are sure that our exterminators will be able to effectively treat the problem. Call on Summerville Pest Control Service because we get results for our customers. The problem that you can’t seem to get under control, our exterminators can. When you contact us to handle your problem, we always begin the process by performing a thorough site inspection. The key to eliminating any type of pest problem is to make sure we know the extent of the problem. Our pest control experts do a great job of finding the problem so that you do not have to worry about the problem completely taking over your home. They can be bothersome; there is no doubt. In fact, if you aren’t able to get them under control, they will increase in size. If you do not want this to happen, for Pest Control Summerville SC call us and we’ll make sure that it doesn’t. We guarantee your total satisfaction, which means we will stop at nothing to ensure the problem is completely eliminated.